The mother of all Birthdays in Abadan, Ali Sharifrazi's house (1968?). 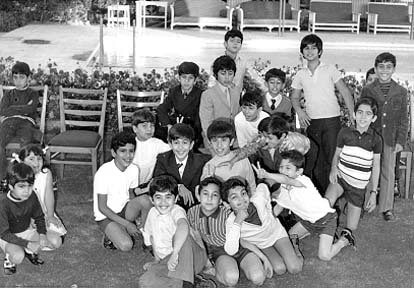 From the back row, left to right: Hamid, Fariborz, Ali, Farzad, Kambiz, Kamran, Mohsen, Siroos, Masood, Nader, ?, Shahdad (far left). Not sure about the boy and the girl.